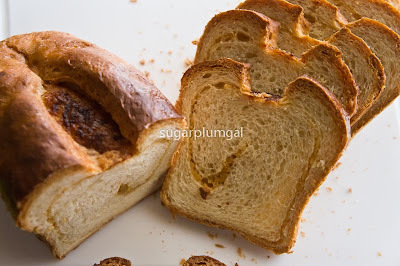 After making kaya in the last post, I decided to see if I could combine baking out bread and kaya together to make a kaya bread. 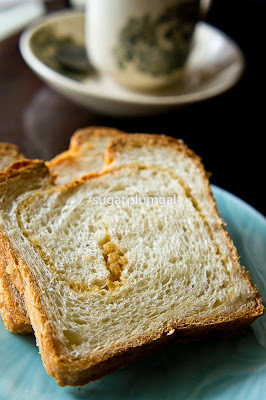 If successful, I only have to spread butter on the bread slices and that will cut down breakfast preparation time. How lazy is that? 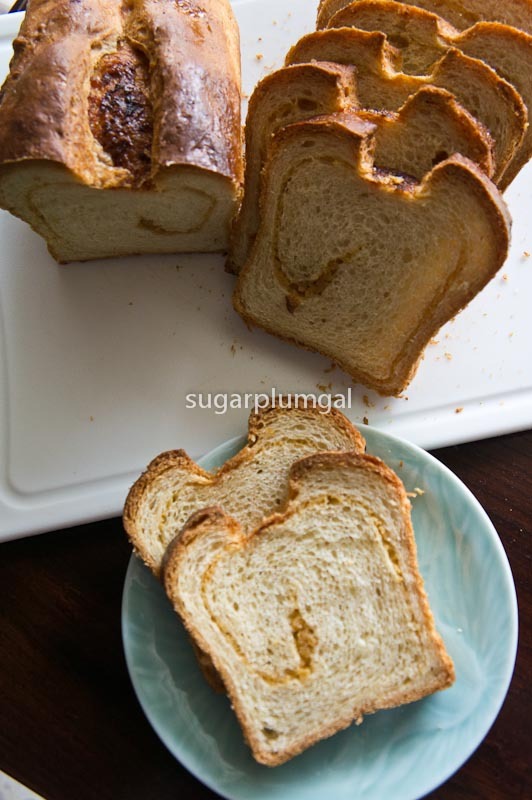 Bake the spread together and you can even eat the bread on its own. In my defence, I prefer to look at it as multi-tasking bread. I've made this loaf many times, and the trick is to slather on the kaya thickly. A super-thick layer. Don't be afraid. The kaya won't bite. Too thin and you'll only get a faint whiff of it. And you'll end up having to spread more kaya in the mornings. Sort of defeats the purpose, don't you think? The basic bread recipe is from a previous post, Orange Swirl Bread, and you will need a couple tablespoons of kaya, preferably homemade. If you are super-efficient, you can even make the kaya while waiting for the bread to proof. Now, that's multi-tasking. 5. Cover the dough with a damp tea towel or clingwrap to prevent dehydration. Allow to ferment and rise until doubled ( approx 1 hour). 8. Lightly brush milk over the dough and spread the kaya over the dough. Spread to within 1 - 2 cm of the edges to prevent any kaya oozing out later. 12. 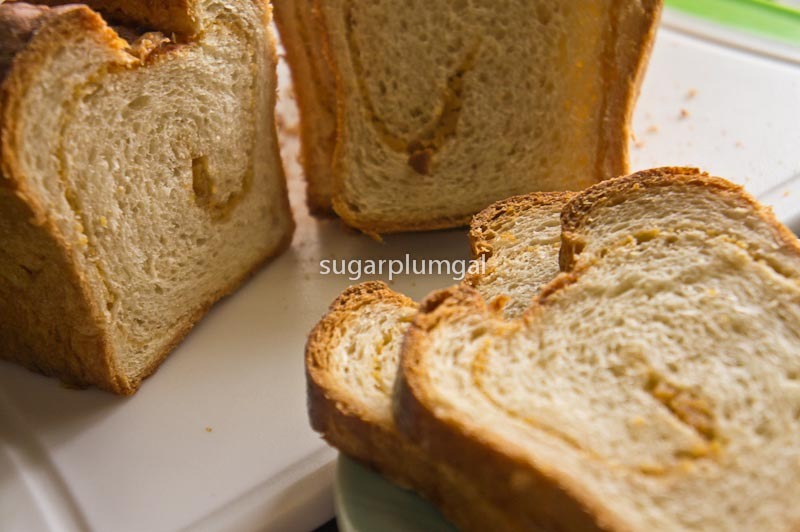 Turn it out and while still hot, brush some butter over the top of loaf as a glaze. Cool on a wire rack before slicing and serving.